There are tons of printers available in the market which can perform different operations apart from the printing task only. Due to such availability, you might wonder what is it that you should go for. 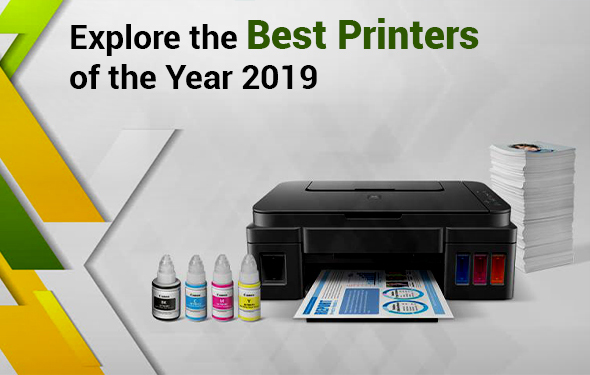 That’s why in this article, we are going to discuss the best printers that you can purchase in the year 2019. Here, you will find printers that have the capability of scanning and photocopying along with the printing as well. You will also get to know the best photo printers that are specialized in producing the lab-quality printouts of the images. You don’t have to spend too much time to select the printer that you want, as we have done that for you. We have also split the best laser and inkjet printers for your convenience to choose them wisely. There are some standard printers alongside some of the most complicated units which we have included in the article. When it comes to the best printers, they come with every shape and size according to the requirements. Therefore, there’s a lot to choose from if you are going to purchase a printer from the market. Regardless of the type of printer that you are looking for, here in this section, you will get that. Thus, without delaying any more time, let’s get into the topic of the most appropriate printers and its features. With the Epson EcoTank ET-4750 printer, you will get a lot of features that enhances its workability to give optimum quality printing. The overall printing speed of the printer is 15ppm monochrome which is not as fast as compared to others. But, there is a wide range of paper sizes that fully support this printer. The dimension of the papers are 9 x 13 cm, 10 x 15 cm, 13 x 18 cm, 13 x 20 cm, 20 x 25 cm, 100 x 148 mm and with these sizes of paper, you can print anything you want. 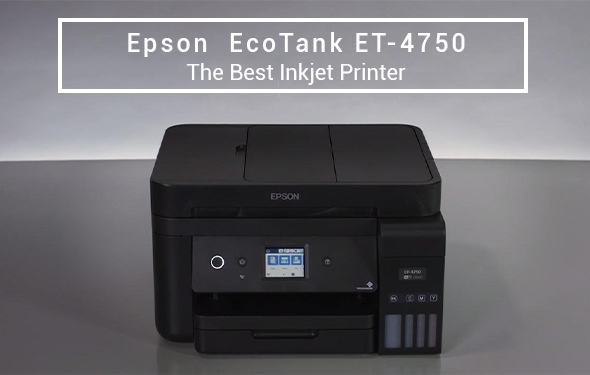 As one of the best printers, Epson’s EcoTank can fulfill all your printing requirements. If you want to know about the names of the paper sizes that it supports, then they are Letter Legal, C6, A6, A5, A4, No. 10 Envelope, Dl Envelope, and user-defined paper. The paper capacity that the Epson EcoTank ET-4750 printer offers is 250 sheets. As per the dimensions of this printer is concerned, you should know that it’s not so big. The dimensions are 375‎ x 347 x 231mm (Width x Depth x Height) that make it smaller than its other counterparts. It weighs not more than 6.8 Kgs which makes it lighter than many others. In the below section, you can see the pros and cons of this printer. Three years of warranty makes it a great choice for those users who worry about the services. It’s quite expensive and relatively slower than most of the other printers. 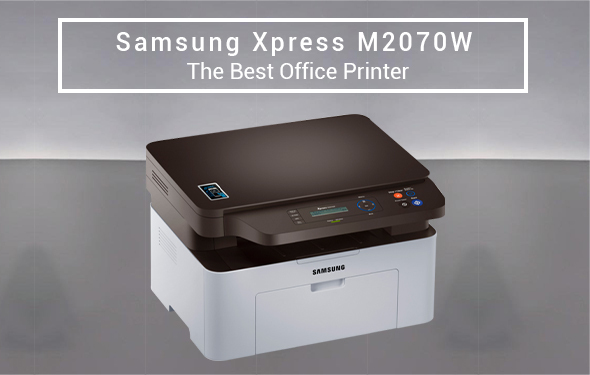 If you are searching for a laser printer that comes with a tempting price listing, then Samsung M2885FW 4-in-1 Multifunction Xpress should be your first choice. The printer offers 28ppm printing at the maximum rate up to 4800 x 600 dpi to produce the best quality printing. With the wired and wireless connectivity options, the multifunction Xpress printer makes its position clear among the best printers. It also supports duplex printing with decent eco settings that can help you print without any problem. You will also get the support of a wide range of media with this Samsung printer. The multipurpose tray of this printer can handle only one sheet of media at a time which makes it an excellent printer. It has a main cassette that comes with a capacity of 250 sheets to hold at a time. Apart from all these, if you want to know the key features of this Samsung Xpress printer at a glance, then go through the section below. Print Speed: With this Samsung printer, you will get 28ppm printing speed. Paper Sizes: The sizes of the paper that this laserjet printer supports are A4, A5, A6, Letter, Legal, Executive, Folio, Oficio, ISO B5, JIS B5. Print resolution: It has an effective resolution of 4,800 x 600 dpi. Paper capacity: You will get a maximum paper capacity of 250 sheets at a time. Dimensions: The overall dimension of the printer is 401 x 362 x 367mm (Width x Depth x Height). Weight: This printer doesn’t weigh more than 11.3kg. 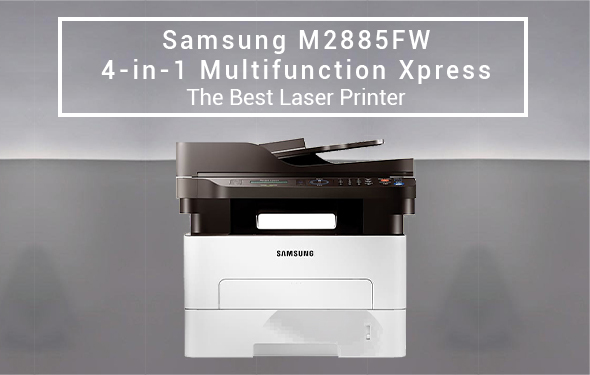 These are the main key features of the Samsung Multifunction Xpress printer that you should know about. However, for knowing the pros and cons of this printer, you can read the following section. The printing quality is superior to others. The Multi-purpose tray has the capability to hold only one sheet at a time. It offers a fiddly control panel which requires frequent adjustments. When it comes to a decent printer for the price that offers moderate print speeds, there is no better option than choosing the HP Deskjet printer. 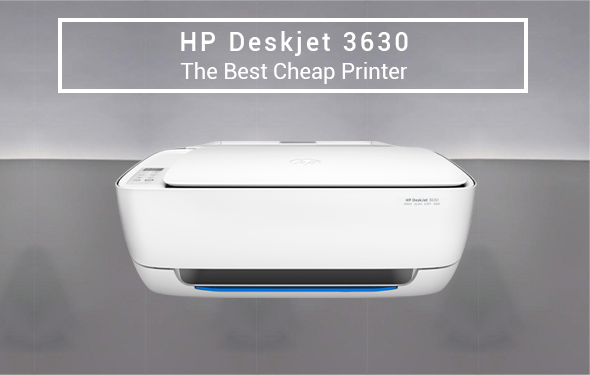 In the list of the best printers, the HP Deskjet 3630 proved its worthiness with all its features. It also comes with the ability to connect with mobile devices without any problem. Though it might cost you a bit if you want to replace the cartridges of this printer, yet it offers every feature that a Deskjet printer comes with. It doesn’t have the build of HP’s Envy models but you also have to consider the price of this printer. This unit is so less expensive than any Envy model of HP printers. If you are looking for cheap models, then the Deskjet 3630 is a great choice that you have. Whatsoever, you can see the features of this printer in the section below. Print speed: The printing speed of this printer varies depending on the document on which you are printing. Paper sizes: It supports a wide range of papers which are A4, A5, A6, B5, Borderless A4, Borderless A5, Borderless B5, etc. Paper capacity: You will get 60 sheets stored in the printer to perform your printing operations. Weight: The printer is relatively lighter than its other counterparts and it weighs only 4.2kgs. With such key features, you don’t have to worry about printing your documents on this Deskjet printer. There are some pros and cons also available with it that you should be aware of before purchasing this HP Deskjet 3630 unit. It is quite a compact printer that you can use as per your convenience. The price is so moderate and in such a price range, there are no better options available. The ink of the printer can be more expensive than others. It comes with a basic paper handling system, not an advanced one. Since Samsung is known because of the excellence of technology it uses on its products. The M2070W delivers all the features that you would need in an office printer. It comes with the support of NFC printing technology which allows users to print documents from their compatible smartphones. The clever eco-system supplements the usual toner saving mode that this printer offers to its users. It can help you remove images from documents that you are about to print. And it’s done by replacing bitmaps with sketches on your printer. Due to all such features, this Samsung unit has become one of the best printers available in the market. This printer can offer you an effective print resolution with a capacity of 1200dpi that makes it useful. It offers a printing speed of 20ppm for every type of printing. It also offers a clever scan to mobile feature that’s well worth considering as an important part of the printer. In the following section, you are going to know the key features of this printer in detail. Print speed: It offers 20 ppm printing speed which is quite a good speed in an office environment. Print resolution: With an effective resolution of 1,200 x 1,200 dpi, you will get optimum quality printing. Paper capacity: You will get a total capacity of 150 sheets with this printer. Dimensions: The dimensions of this Samsung printer is 406 x 359.6 x 253mm (Width x Depth x Height). Weight: It weighs not more than 7.4kgs which is an optimum choice as an office printer. As one of the best printers, this Samsung unit comes with all the features that you’d need in an office printer. There are some pros and cons with this printer as usual and you should know them before you choose it. The clever Eco mode makes the printing operations more convenient. It is reasonably quicker than all the other printers in its price range. Duplexing is manual in this printer. There’s no high yield cartridge option available with this printer. If you are searching for a printer that you can use occasionally, then Canon has introduced its latest unit in the Pixma series. 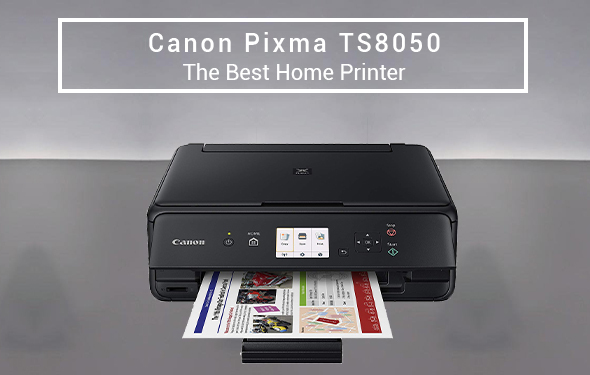 The Canon Pixma TS8050 printer is great for traveling professionals due to many features. You can use this printer for printing photos and scanning your important documents. This Canon product is one of the best printers for them who like small printers. It’s a bit expensive to buy but with all the features it’s worth the money. You will get premium quality printing and all the flexibilities that you require to easily get on with the printing process. As per the key features of this printer is concerned, you can view them in the following section. Print speed: The printing speed varies according to the type of printing. If you are performing a black and white printing, then the speed is 15 ppm. Whereas for color printing the speed becomes 10 ppm. Print resolution: With this Canon unit, you will get 9,600 x 2,400 dpi print resolution. Paper sizes: A4, A5, B5, DL (Envelope) are the papers that you can use for printing in this printer. Paper capacity: It has 100 sheets of paper capacity that makes it the best home printer. Dimensions: It comes with the dimensions of 372 x 324 x 139mm (Width x Depth x Height) which make it the most compact printer among its other counterparts. Weight: The weight of the printer is 6.5kg, that makes it relatively lighter than others. These are the main key features that you have to know before you use Canon Pixma TS8050 printer. However, like all the other devices, there are some pros and cons available with this. In this section, you are going to know all those pros and cons before you go for purchasing it. This Canon unit is compact. It offers superior printing quality to some other printers. That’s all you need to know about the best printers that you can buy this year. You can go through all the features along with the pros and cons of them. And once you are done with all that, then you can go ahead with your preferred one. 1. What is the Best Printer with the Cheapest Ink Cartridges? There are some printers that come with the cheapest ink cartridges and they also refer to as the best printers. The Canon PIXMA MX922 is one of the most popular printers that you can find in the market. No matter how you want to use it whether wired or wireless, you can use this Canon without any problem. Apart from this printer, the Epson WorkForce WF-2860, HP Envy 4520, Brother MFC-J480DW, and Canon Pixma iX6820 printer also come with the cheapest ink cartridges. 2. What is the Best Printer for 2018? There’s a wide range of options available to you when it comes to the best printer of 2018. Products from HP to Canon to Epson, all of these printers come with the top inkjets to get your printing done. Go through the following list to know them. 3. What is the Best Home Printer All in One? For home usage, there are some printers available, that you can choose as the best one. For the best home printers, follow the section.